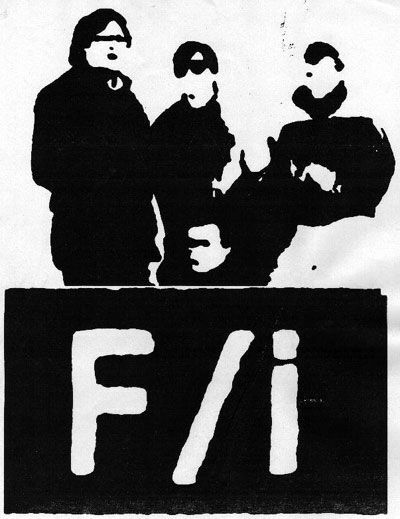 F/i are from Milwaukee, Wisconsin, and have been around since 1982. 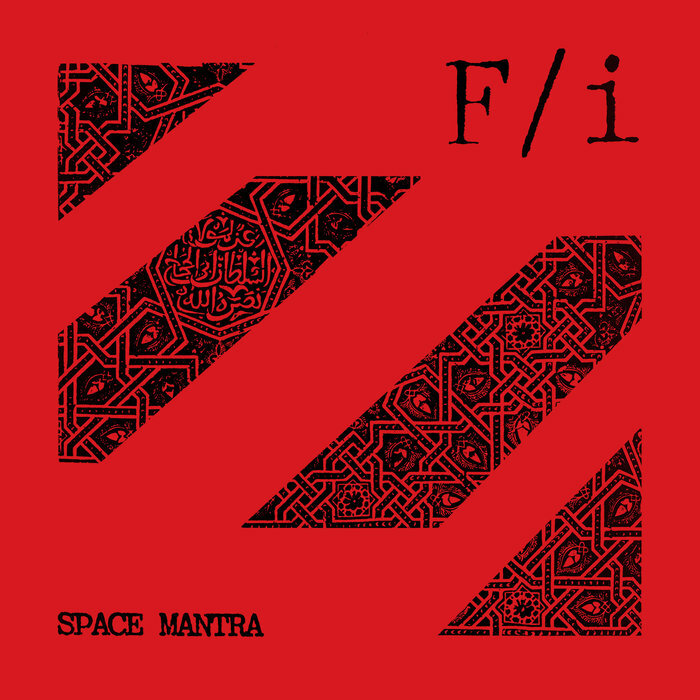 They released a huge amount of interesting material, ranging from noise to experimental space rock. 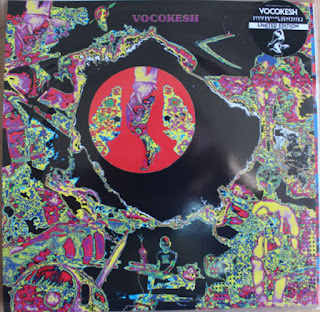 Richard Franecki has also a few other projects, including Vocokesh. I grew up in Milwaukee Wisconsin, born in 1956. My family (Grandparents) came to north America from Poland in the early part of the 20th century. My father and grandfather were not professional musicians, but were interested in music. My Grandfather was a blacksmith and my father was a machinist. Both played the concertina. Eastern European ethnic music was played in the house when I was a small child. My father taught himself musical theory and his knowledge was extensive, he could have composed a symphony! I guess that’s where my interest in music came from. I had a musical interest as far back as I can remember. This was especially true during the so called ‘British invasion’ era, starting in 1964, when the Beatles became international superstars. I was VERY influenced by all of that, watched ALL the rock and roll shows that were on the television, and knew at the age of nine or ten that I wanted to be in a band and play music. I was not really influenced by the local scene, my interest went back further than the time I would have been influenced by the local scene. By the time I was a teenager, the local scene only INTENSIFIED my interest! When did you begin playing music? Who were your major influences? I didn’t actually start playing music until I was a young teenager, although I wanted to play guitar at a very young age, 9 or ten years old. It wasn’t until I was about 16 years old that I obtained my first guitar and began to teach myself to play. I never took formal lessons. Unlike my father, I can’t read music. I was influenced by the rock and roll that was popular in the mid to late 1960’s, the stuff on the radio that all the kids my age were listening to. However, for reasons I can’t understand, I was also drawn to stuff that was a bit ‘weird’ or ‘out there’. One experience that I consider life changing (at the risk of sounding overly dramatic!) was hearing on the radio in 1969, I was about 13 years old, ‘Dazed and Confused’ by Led Zeppelin, in particular, the spaced out middle section. For a young teenager who was immersed in the popular radio of the day, this was mind blowing, the wildest thing I’d ever heard!! Ha Ha. I also heard ‘A Saucerful of Secrets’ by Pink Floyd, which had the same impression on me. Over the next couple years, I also discovered the German experimental scene, Amon Düül II, Ash Ra Tempel, and listened to almost NOTHING else but that type of stuff. 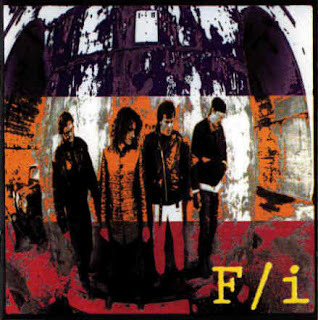 What bands were you with prior to the formation of F/i? The first ‘serious’ band I was in was a group called ‘The Drag’. This was the late 70’s, into the early 1980’s. We were influenced by punk. You may wonder why punk after listening to experimental/spacey stuff. I was never into the philosophy or posing that was part of punk. I had also always liked hard rock, and to me, punk was fast hard rock. I was drawn to that aspect of it. The Drag were sort of an MC5 Stooges type of band. When that fell apart, I was in a band called ‘The Shemps’. 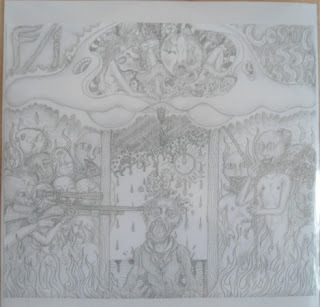 The motivation was the same for The Shemps as it had been for The Drag. It was in the Drag that I met up with Greg Kurczewski, the bass player for The Drag. He and I formed a side project, ‘The Surfing Fuhrers’, a drum machine synthesizer/guitar duo. 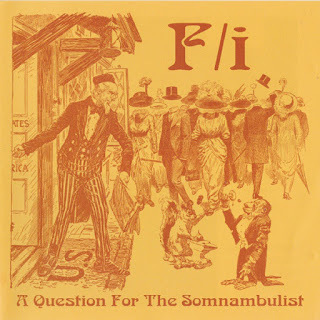 This format became boring, we expanded and this was the genesis of what ‘morphed’ into F/i. While all this was happening, The Shemps fell apart. 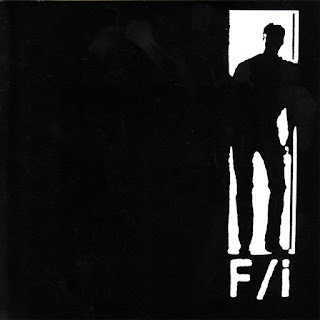 The name F/i. We choose it because it sounded cool!! There’s a rumor that I’l neither confirm OR deny that it stands for ‘Fuhrers Incognito’ since we weren’t sure if the name ‘Surfin Fuhrers’ would be offensive. But, like I just stated, this is only a rumor!! 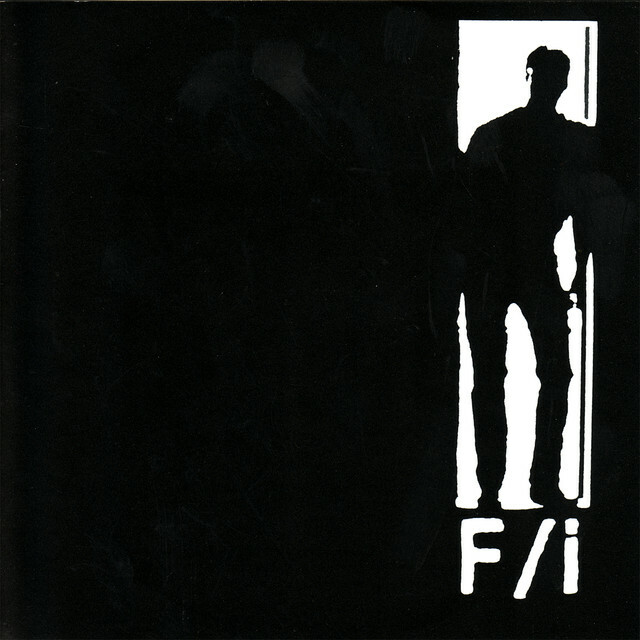 Can you elaborate on the formation of F/i? As mentioned, F/i sort of evolved out of the Surfing Fuhrers. The two piece lineup became boring. We added Brian Wensing on synthesizer, and later Steve Zimmerman. Steve played the short wave radio, pulling odd sounds out of the atmosphere. He was a total non-musician, but had a great aptitude for what type of sound would fit into what we were doing. At this time in our history, were a noise band, using a crude drum machine. The drum machine became tedious, so we added Jan Schober on drums. Jan had played in The Shemps, he was a punk drummer, and not really into anything remotely experimental!!! But, we didn’t know any other drummers, and Jan loved to play, so he agreed, and we got along with him as an actual human, as opposed to a machine! I don’t remember our first gig, it was so long ago. Easy on, we became friends with another Milwaukee band, Boy Dirt Car’. They were also a very experimental noise oriented band, often using scrap metal as percussion, and other odd stuff. We were kindred spirits, and began to play shows together. Milwaukee did not have a very large noise/experimental scene back in the 1980’s. the Venues were small seedy bars!! Often we’d play to ten people or less, and often out of the ten, five would still be there when we finished. But those five people left were REALLY into it!!! I don’t remember the first song were ever played, since we didn’t really play songs. We would jam, and I would often screw around with the tapes afterwards. A lot of the early material was half live and half studio. Most of the early tapes are of very inferior quality, due to the inferior nature of the equipment we were using to record, and our inexperience with recording. I cringe when I hear a lot of that stuff now!! We were influenced by a lot of the ‘Industrial’ stuff that was happening in the 80’s. 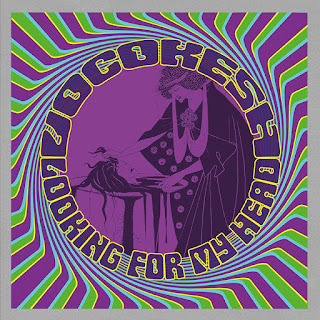 Throbbing Gristle made an impression on me, as well as stuff like EARLY Kraftwerk and ‘Electronic Meditation’ era Tangerine Dream. And we can’t forget Hawkwind. They were a HUGE influence on Brian Wensing and myself. Here’s sort of a ‘sideline’ to the interview. A lineup history. Start of band 1982: All dates are a bit approximate. 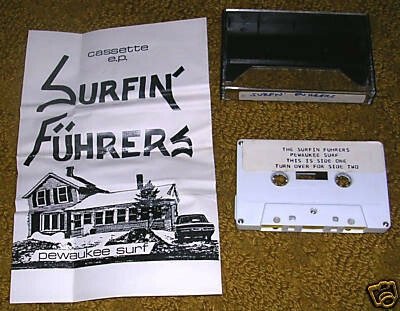 Greg Kurczewski and Richard Franecki: ‘The Surfin Fuhrers’. Brian Wensing comes into band on synthesizer. 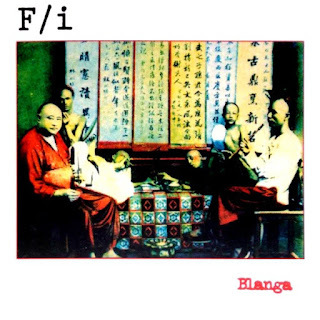 The name is changed to F/i. Steve Zimmerman joins on short wave radio. Wensing, Franecki and Zimmerman play live gigs as an improvisational noise unit. Jan Schober joins on drums. Jan had been in the punk band ‘The Shemps’ with Franecki. The group moves into a more standard rock sound, but still with a healthy dose of noise. There is a definite Hawkwind influence to the sound as well. 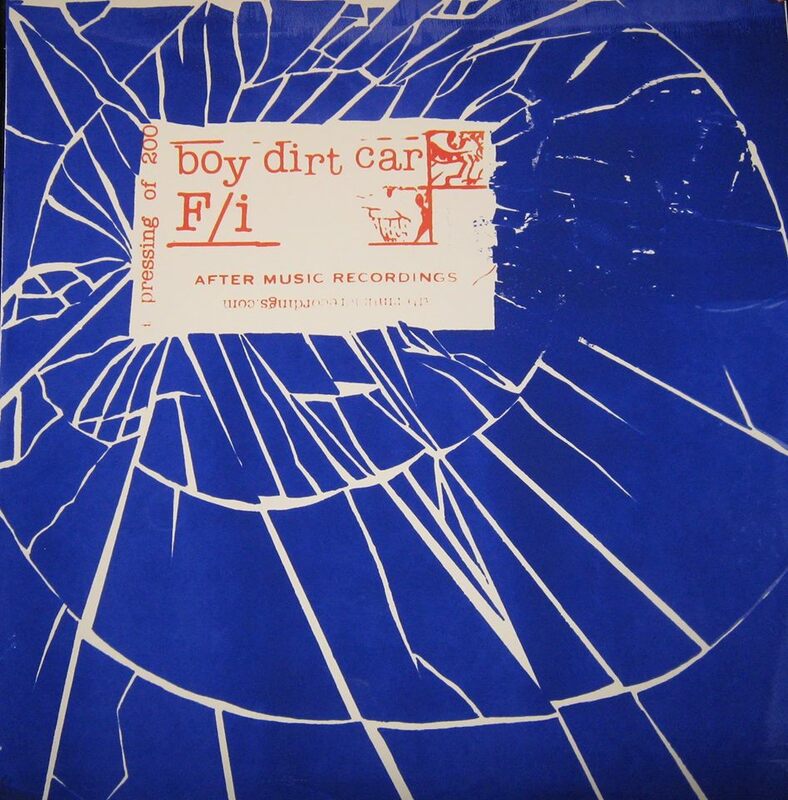 1986-1987: First record with ‘Boy Dirt Car’ released. Tom Schnier joins band on bass guitar. 2nd full length LP Why Not Now? … Alan! released. 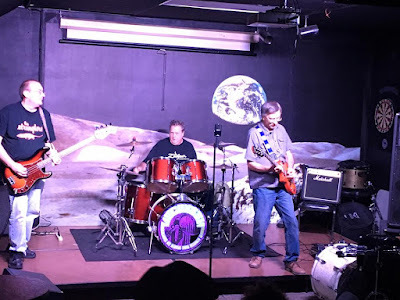 Greg Kurczewski and Steve Zimmerman leaves the band. 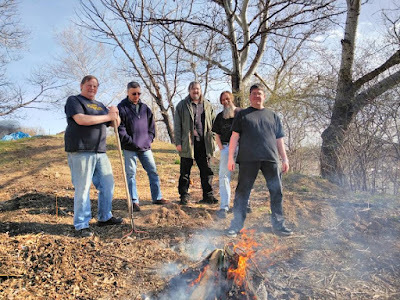 Tom Schnier leaves band. Group continues as two piece. 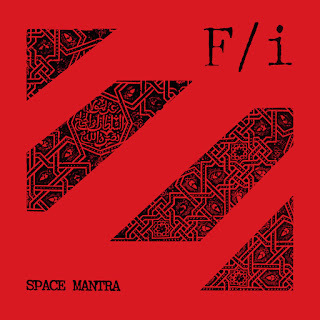 Richard Franecki and Brian Wensing record as a two piece using tape loops as rhythm backing tracks and produce 2nd full length LP Space Mantra. Greg Kurczewski and Tom Schnier return. This time, Greg plays drums. Band play several live gigs, one of them with the Milwaukee psych band, Plasticland. Greg Kurczewski and Tom Schnier leave again. Ron Faiola joins on drums. Grant Richter joins on electronics. This was the most ‘successful’ lineup. F/i played many live gigs and also toured Europe twice. This lineup recorded the Paradise Out Here LP. 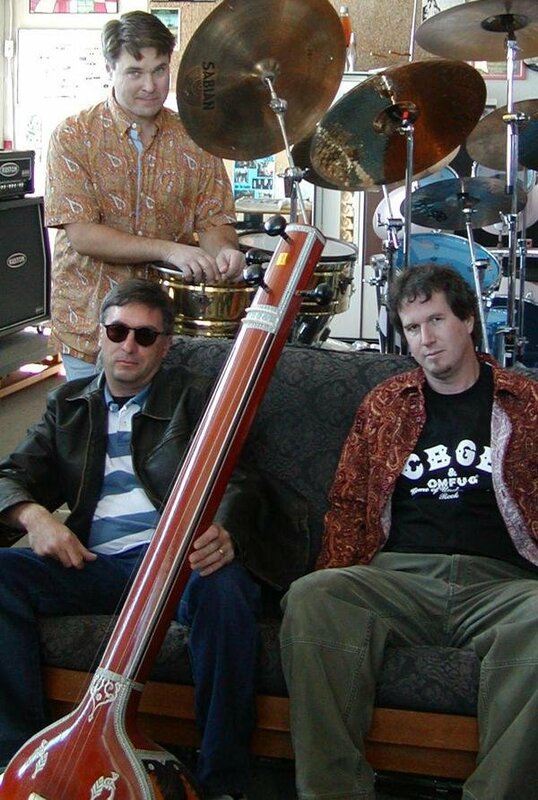 A CD was also released called Earthpipe. history up to that point. F/i also played a gig with Hawkwind, who did a US tour at this time. Citing musical differences, Richard Franecki leaves band. Franecki forms Vocokesh, which he described as ‘What F/i SHOULD be doing’. 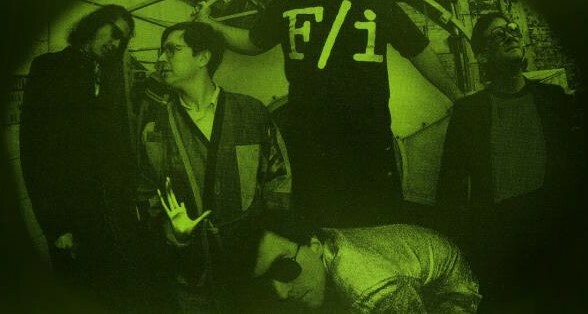 Franecki was into the more experimental while other members of the band were trying to push a more ‘song oriented’ approach. RRRecords releases another split LP, Merge Parlor. F/i on one side and Vocokesh on the other. All members are still friends. Rick Hake joins on drums. 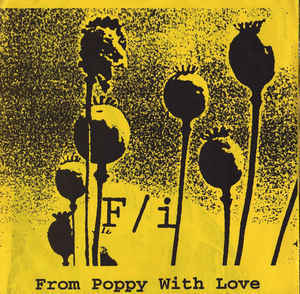 F/i released a single ‘From Poppy Withy Love’ a re-recording of a track on the Paradise Out Here LP. ***note*** This section on the 90’s is bit of an approximation. I (Franecki) was out of the band and devoting my energy to Vocokesh. 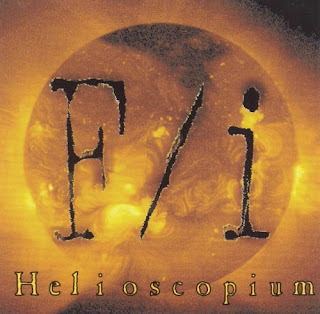 During the late nineties, the Helioscopium CD was released on Ceres Records. 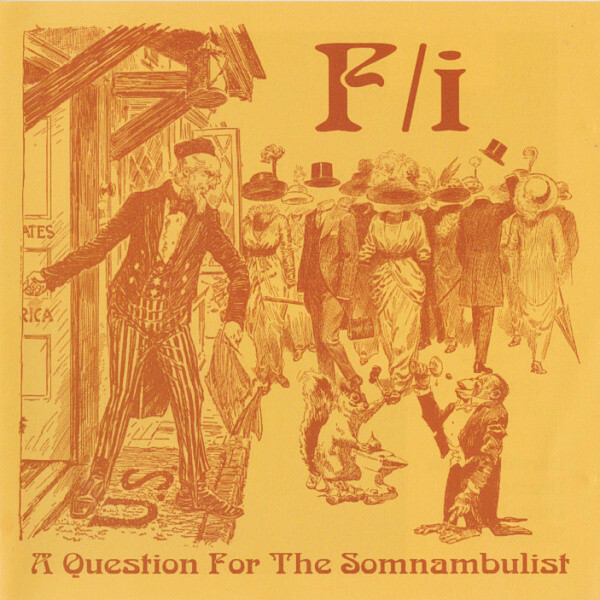 A Question For The Somnambulist CD is recorded and released on Mother West Records. Darwin Grosse joins on electronic percussion. Franecki re-joins halfway during the recording of this LP. Rick Hake re-joins on Drums. Blanga CD is released on the Lexicon Devil Label from Australia. 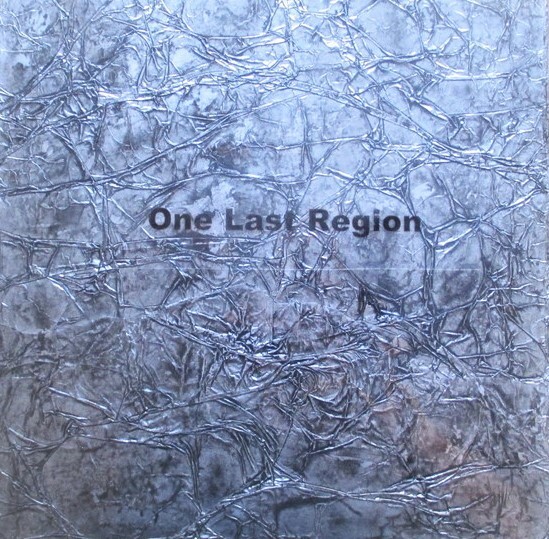 John Frankovic from Plasticland plays sitar on this CD, he also produces. Several LPs are released on Pure Pop for Now People from Germany. 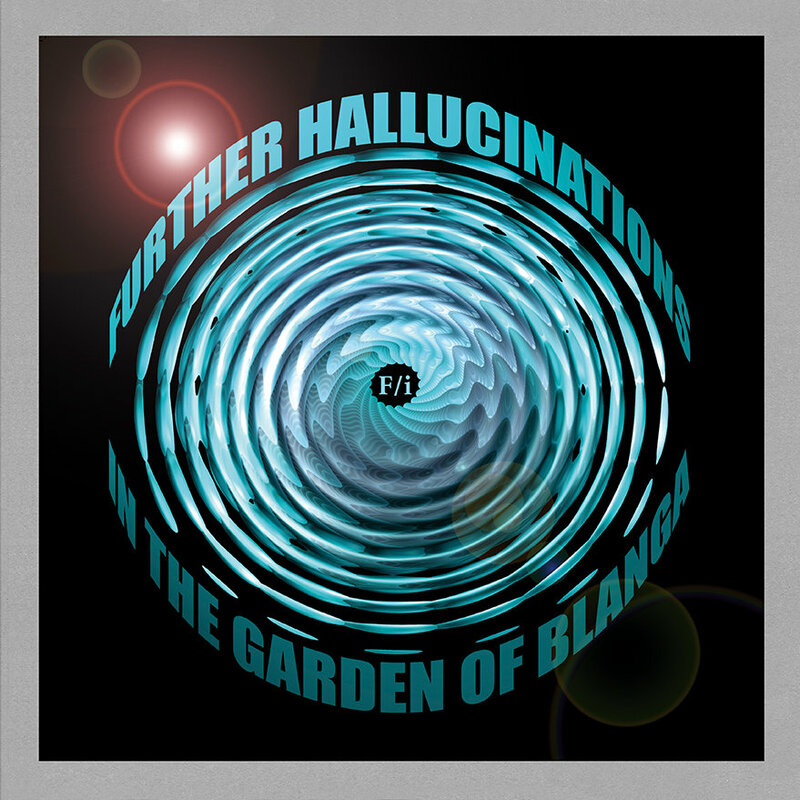 Further Hallucinations In The Garden Of Blanga. 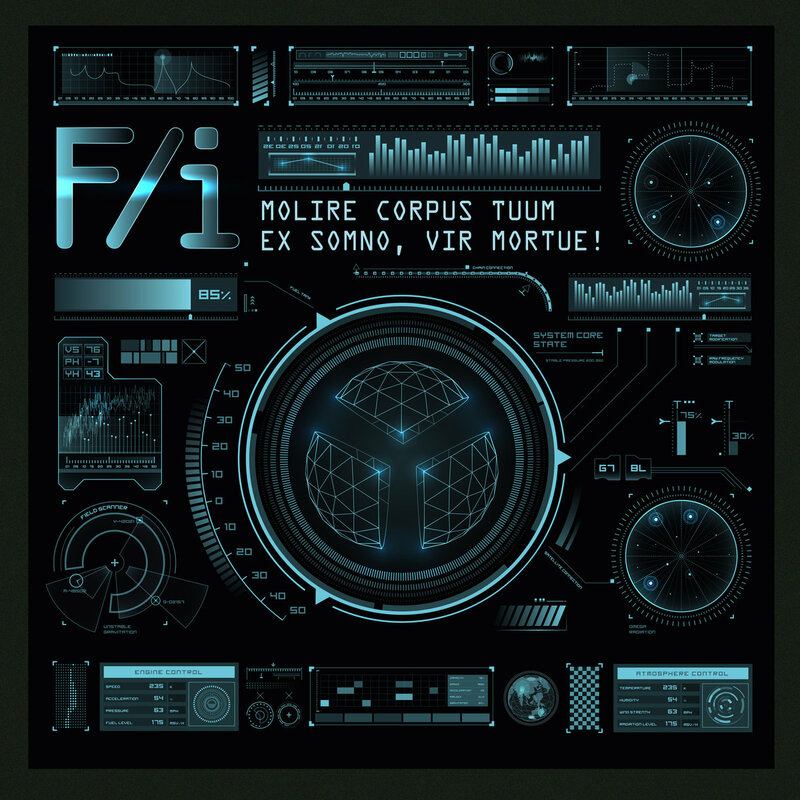 Molire corpus tuum ex somno, vir mortue! (Turn Me On, Deadman). Title and liner notes were in Latin. By this time (2010’s), Rick Hake had left and Jay Tiller joined on drums. Joe Polizzi joined on bass. Cary Grace also joined on electronics. 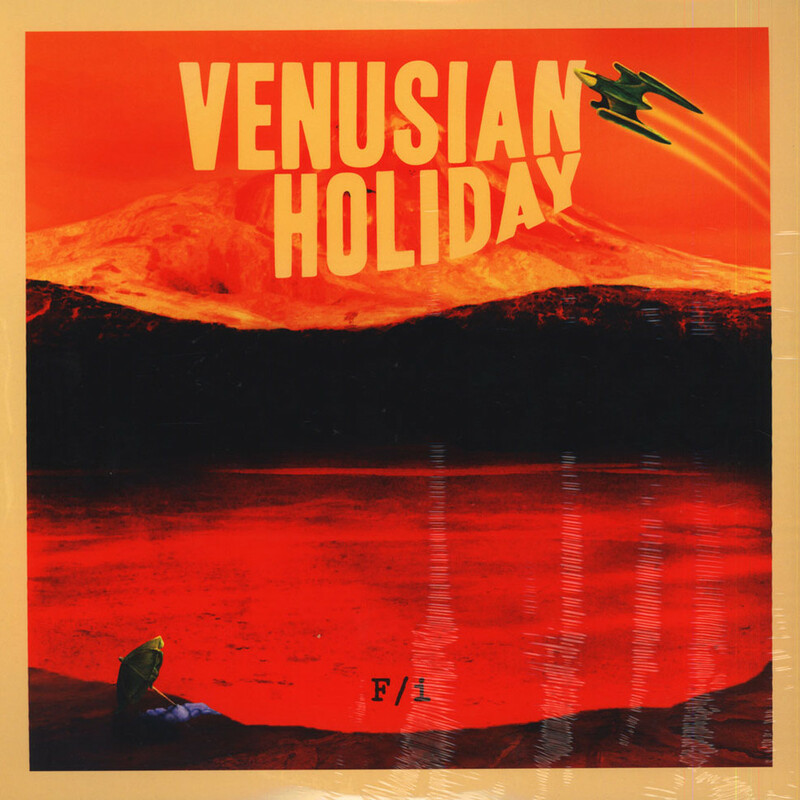 Venusian Holiday LP released on the German Krauted Mind Records. 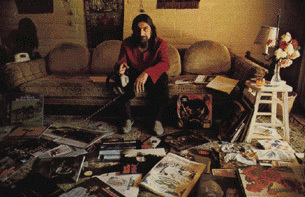 Cary Grace produced the recording and did the cover art. F/i did another split LP with Boy Dirt Car. 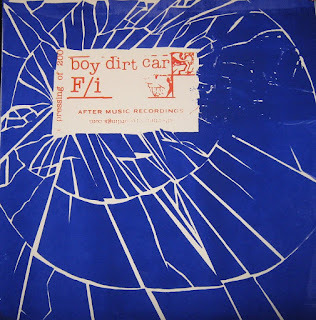 This was to celebrate the 25th anniversary of the first F/i Boy Dirt Car split LP, which had been the first record for both bands. 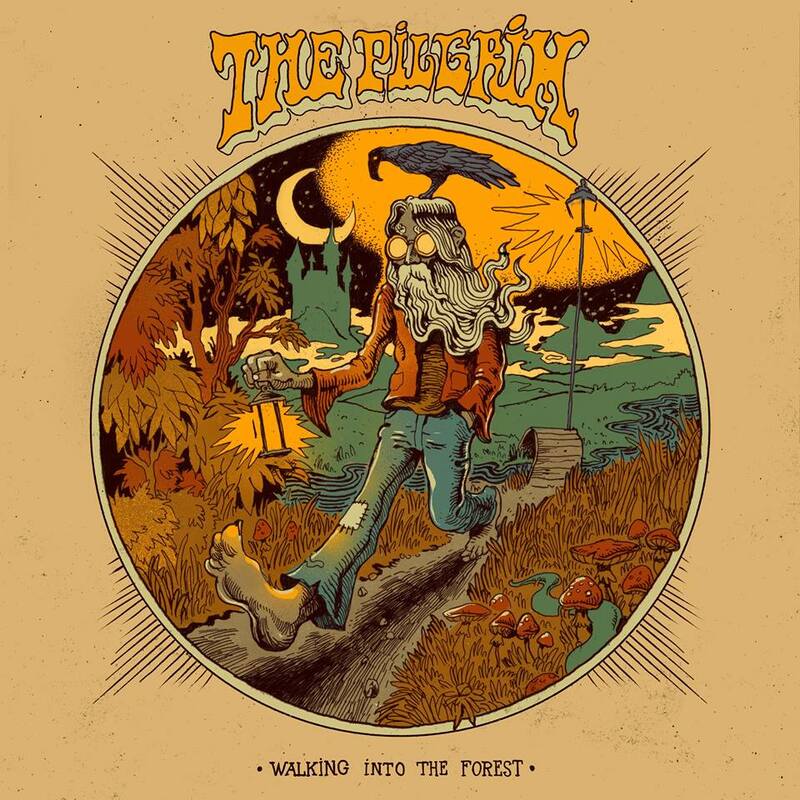 This second split was released on the After Music Recordings label, which was owned and run by Boy Dirt Car member, Darren Brown. 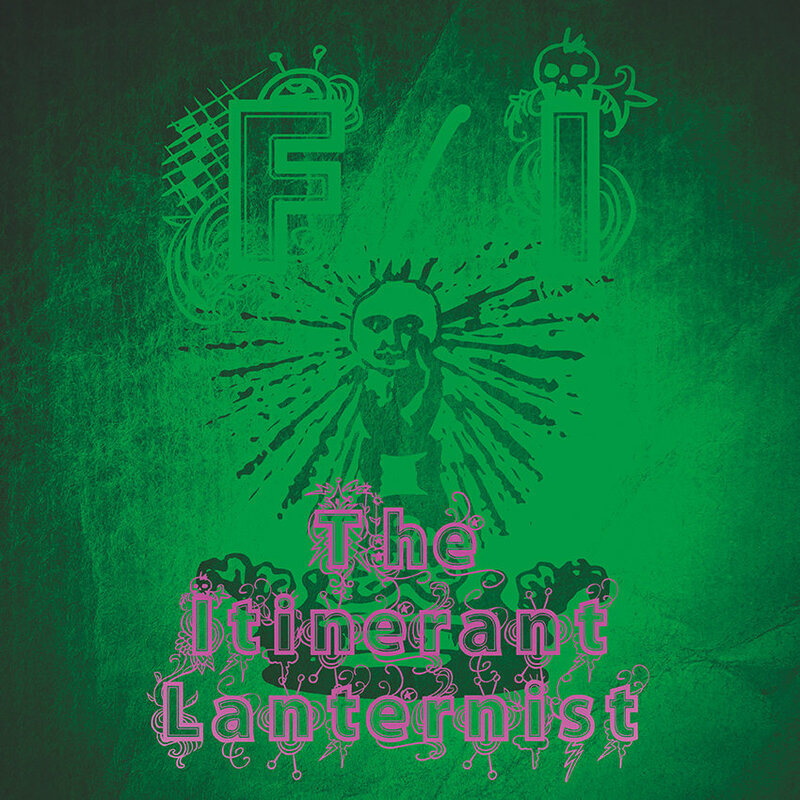 F/i plays gig with Acid Mothers Temple. You’ll note that Richard Franecki is not in the lineup. 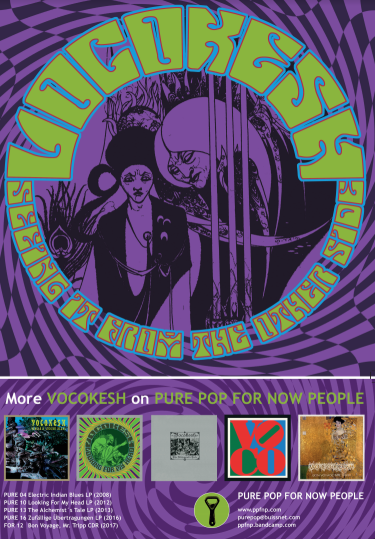 I have TEMPORARILY left the band to concentrate on my MAIN project, Vocokesh. Ex F/i bassist, Tom Schnier is now a member of Vocokesh. 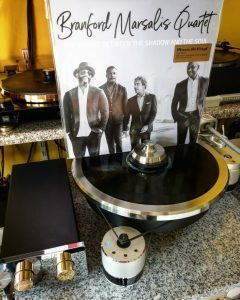 I usually ask about particular albums, but that would be absolutely impossible in your case. 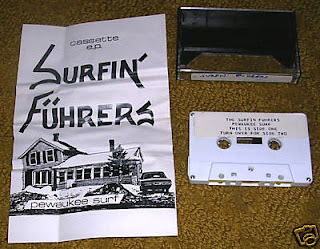 You released so much different albums and projects (including The Surfin’ Führers, The Shemps, Vocokesh …). We’ve released many LPs and CDs. We always have done what interested us at the moment. There was never any sort of ‘concept’ behind any of the releases. We also did many cassettes. I don’t really count those in our discography, since they were privately issued under our fake ‘Uddersounds’ label. I would copy them to trade with people. Each cassette probably was 50 copies or more. A lot of the better material from our various cassettes was released on the previously mentioned three LP box set put out by RRRecords in the late 80’s. 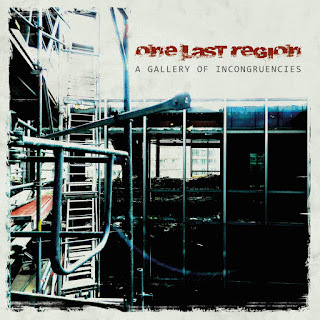 This box set was re-issued by the Australian Lexicon Devil label in the early 2000’s. It may still be available from them. 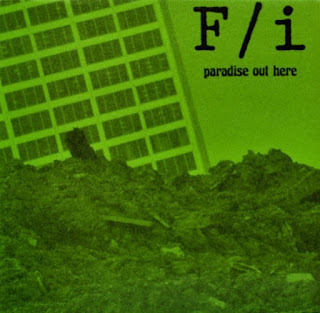 Paradise Out Here was my first album I heard from you. Would you like to tell us what are some of the strongest memories from recording and releasing it? Paradise Out Here was recorded in an actually 8 track studio in Milwaukee. The studio was run by Rick Hake, who later joined F/i on drums in the 90’s. Before this, all of our recordings were done on a four track cassette machine. Basement tapes of varying quality. So, in comparison, Paradise Out Here sounded really good! The LP was recorded just prior to F/i going out on the first European tour. 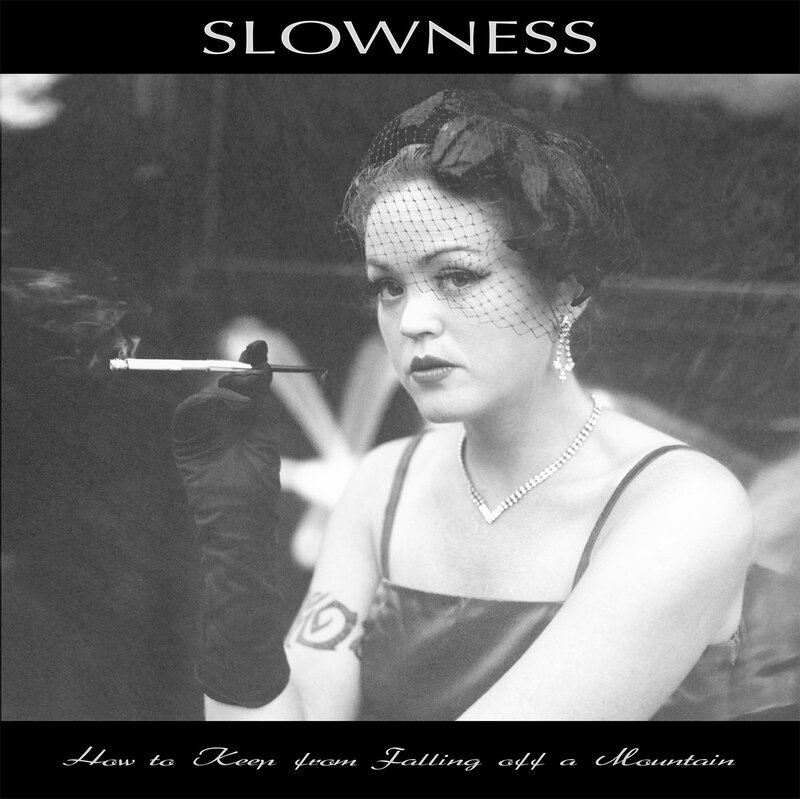 John Frankovic, of Plasticland, produced this LP, as well as playing Shawm and Bouzouki on side two. He’s also pictured with the band on the back cover. As I said before, he went out on the tour to Europe in my place. I stayed home!! John also worked with us again on the Blanga CD. He and I both played sitar on a track. That LP was also recorded in a small digital studio in Milwaukee. The studio was interesting. It was located in a large old building that had previously been industrial space. The building was constructed in the late 19th century and had massive wooden beams, and an ancient freight elevator that we were afraid to use, which forced us to haul our equipment and other gear up stairs to the third floor! Whether this contributed to the overall mood of the LP is a matter of speculation! I guess most of our song writing consists of coming up with riffs, or phrases that we then build upon. We never really wrote songs in the usual sense. Now and then, we’d come up with a more structured thing that could be considered a ‘song’. Being an instrumental band tends to lend itself to a more improvisational approach. Aside from that, none of us can sing!!! And none of us are really poets, so lyric writing never came easily. It’s my opinion that lyrics and vocals turn a piece of music into something that an improvisational piece is not. By that I mean that I see sound as a building block of sorts, like paint or clay is to a visual artist. Adding words changes all of that. I don’t know how well I’m making this point. I’m into sound for sound’s sake. I was never interested in being a songwriter. That’s the reason I phased myself out of F/i the first time in 1991, and formed Vocokesh. I felt Vocokesh went in the direction I wanted to go in, more experimental, more open to doing whatever weird stuff that came to mind. Incidentally, ‘Vocokesh’ was the title of one of our old F/i self-released cassettes. The name comes from a gentleman named Abe ‘Voco’ Kesh, a pioneering radio dj in San Francisco in the late 1960’s. 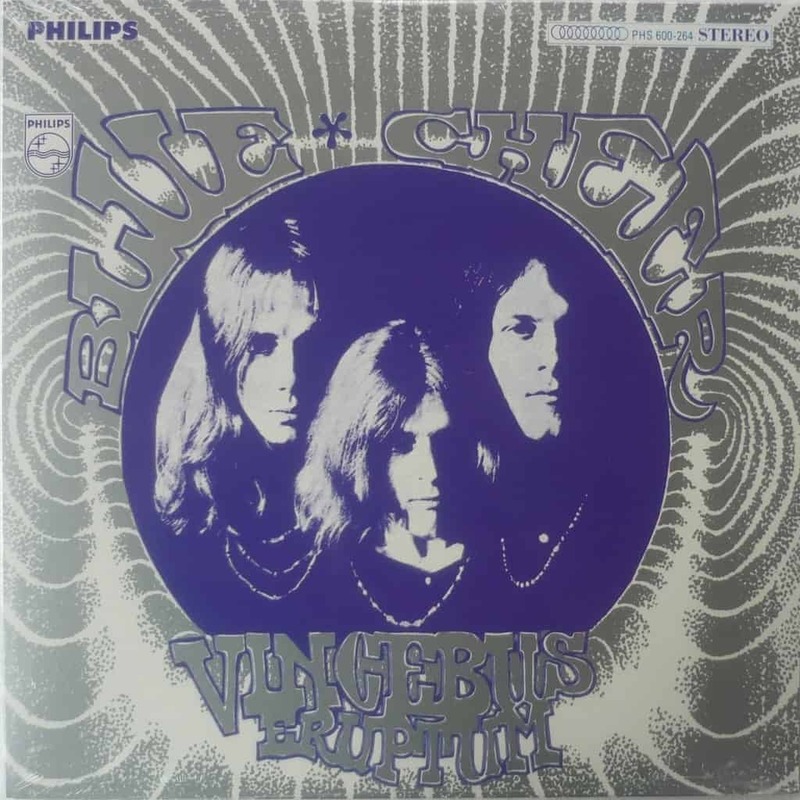 He was also a producer, and is responsible for the Vincebus Eruptum LP by Blue Cheer, as well as many others. 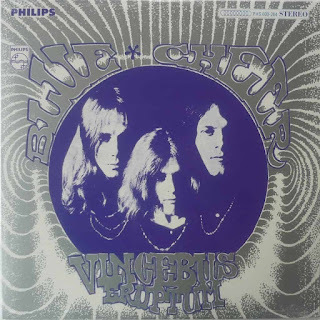 Blue Cheer was also a big influence on Brian Wensing and myself. Ha Ha Ha. Drugs are bad, really. We were never a drug band, but we did drink a lot of beer! I’ve explained the song writing process, intuition, a riff, and idea. We would just play and see what comes out! Every now and then we would produce something that was more structured and song-like, but it was an exception rather than a rule. Improvisation. Doing things as they come to mind, letting ideas flow, happy accidents. Start with a musical phrase or simple riff (think Hawhwind!!!) and build on it. Get noisy. Add lots of reverb and echo. Explore sounds within sounds. Don’t be afraid, sometime experiments fail!! Try anything that comes to mind. We once recorded a copy machine, a large metal trash dumpster, metal objects, deliberately distorted recordings. We tried anything, and sometimes came up with some horrible sounding stuff, but there were a few gems along the way as well!! That is the essence of our writing process. Improvisation has always been important to me. I always liked the accidents that would sometimes happen, things you could never do if you planned to do it, if you get what I mean? I mentioned before that sometimes experiments fail, but often really cool things would also happen. It’s an adventure. Because we would do improvisational stuff and record all of our sessions, there is a great deal of unreleased material. This is especially true of my currant band, Vocokesh. I would venture to say that there could very well be more material in the can as there has been officially released material. You have some brand new material. As I write this, F/i have a new LP ready to be released. I believe it is called Bastards Of The Universe. Vocokesh have just released a two LP set on the French label Fractal Records. The Vocokesh LP is original material that pays homage to the German experimental scene of the late 1960’s and early 1970’s. It was the idea and concept of the head of the label, Jerome Genin. 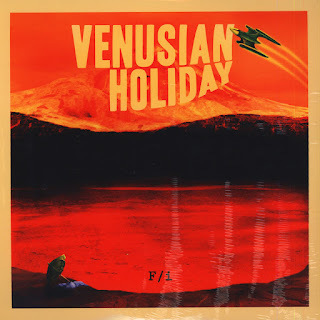 He asked us to record four side long pieces that would be ORIGINAL Vockesh material, but would somehow channel the ‘Vibe’ of Edgar Froese of Tangerine Dream, Peter Leopold of Amon Düül II, Holger Czukay of Can and Conrad Schnitzler. It was a tremendous challenge, but a lot of fun, and turned out very well. I think it’s the best thing we’ve done! I think I’ve mentioned other side projects. I have two at the moment. 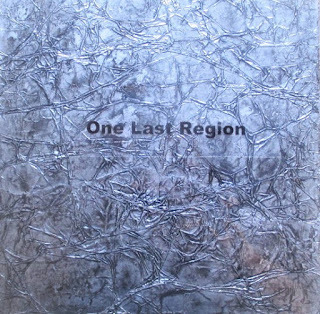 One Last Region is a free form improv band I formed with a couple of friends. We set up, roll the tapes and record non stop for an hour, and see what happens and what we come up with. 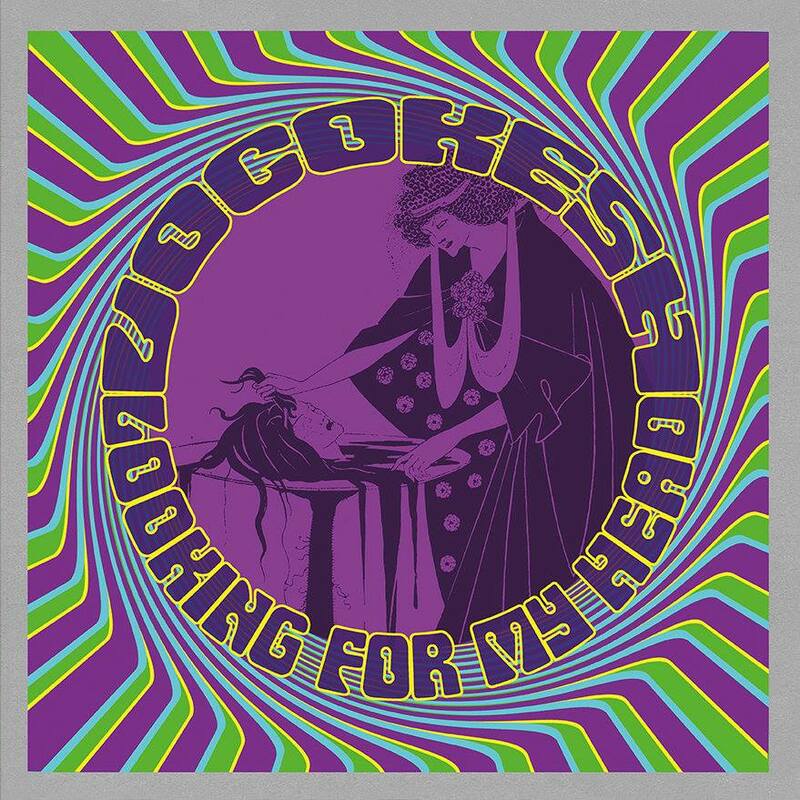 We’ve released an LP on the German Psych.KG, as well as a limited edition CDR on the Pure Pop for Now People, also a German label. One project I going right at this moment is one I’m very enthusiastic about. I call it ‘The Purple Room’. It’s named after my small home studio, which has the walls painted purple! It’s primarily a studio project. I have a good deal of modular synthesizer equipment. I like atonal noise, as well as live drums and manipulated spoken word, sound collage. The Purple Room is more influenced by visual artists than by other musicians, though I have to say that the French composer Pierre Henry is a HUGE influence on me. As far as visual artists, my currant music with The Purple Room is in the spirit of Robert Rauschenberg and Jackson Pollack. Ha… try and imagine what their work would be like as a soundtrack!! Future plans are to continue doing what inspires us at the moment. I’m optimistic. Speaking for myself, even though I’ve been doing this for several decades now, I feel my best work is still ahead of me. I have many ideas, and hope I live long enough to see at least a handful of them become reality. F/i opened for Hawkwind at a show in Milwaukee, and played on the bill with them at that festival in Ohio in the 90’s. Interestingly, F/i also opened for drum legend, Ginger Baker when his touring group, Masters Of Reality came through Milwaukee in the late 80’s. 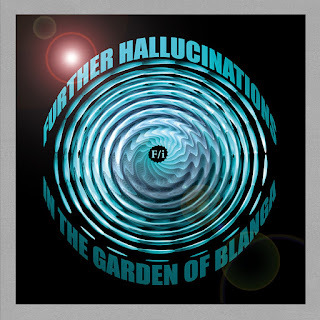 Recently, a few months back (April 2018) F/i played with Acid Mothers Temple at an event in Milwaukee called Psychfest. 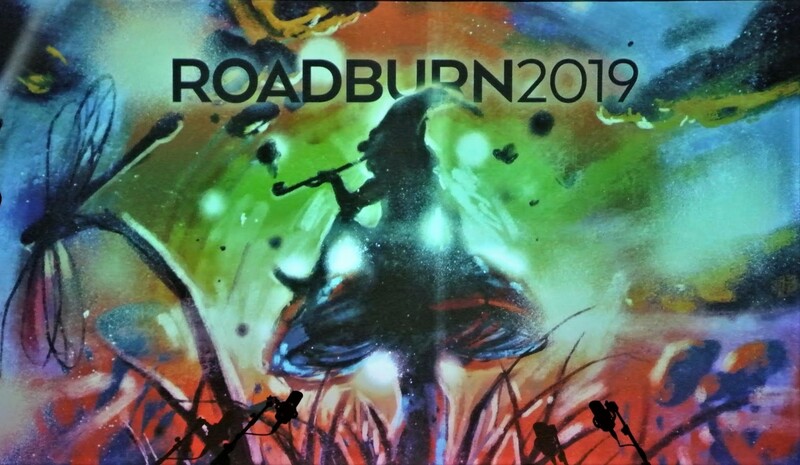 I like a good deal of the new improvisational stuff coming out of Germany, bands like Electric Moon and Samsara Blues Experiment. There’s also a fantastic USA band, from Texas Called ST 37. They’re also friend’s of ours. Boy Dirt Car are also still together, led by co-founder Darren Brown. I mentioned earlier that Darren also runs a label called After Music Recordings. 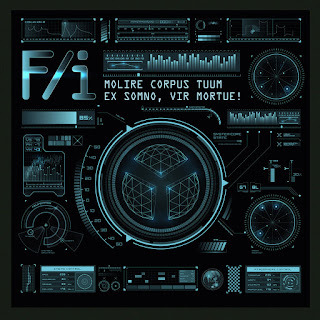 He’s released some very interesting material by a variety of artists, and I would urge people to check that label out, as well as all the other labels mentioned before that have released F/i and Vocokesh material. Cary Grace, who was is F/i for a short time, and remains the only female member in the bands history (as if that matters!!) is also an accomplished artist in her own right. Check out her website. Sorcer Records in Australia (formerly Lexicon Devil) have also re-issued some of the earlier F/i LP’s that originally came out on RRRecords. I have many other favorite bands, but the above come to my mind at this moment. I’ve given an ‘off the cuff’ somewhat disjointed but still accurate history of my self and F/i and other projects. I appreciate the interest in our work!! I’m amazed that it seems to have struck of chord with people and has influenced them. As an artist, what more can you ask? Thanks very much for the interest, Klemen. It was fun.